The visual novel has been around for almost two decades, played mostly by the Japanese and anime-gaming communities. And unfortunately, it is not a genre that every gamer likes, its linear and text-heavy overdose of narrative proving too tiresome for many. 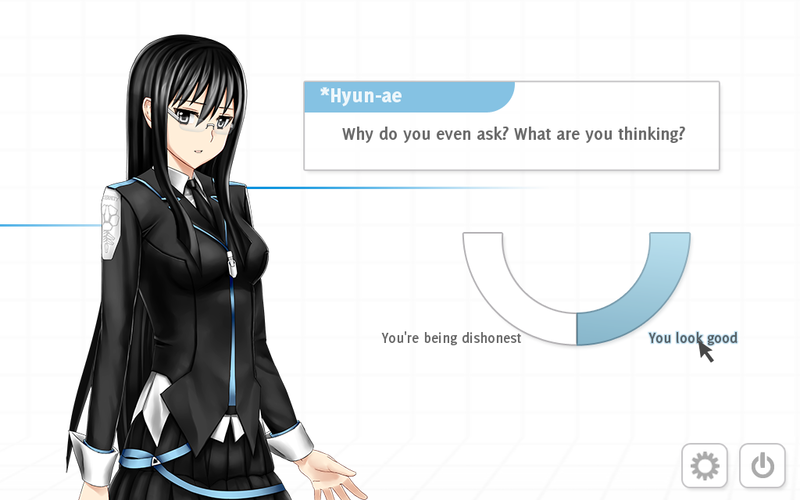 Analogue: A Hate Story is developer Christine Love’s attempt to evolve the genre to the next step, taking full advantage of the videogame medium to deliver one of the most memorable visual novels to date. You play a detective tasked with uncovering the fate of a re-discovered spaceship that has dropped out of contact and gone missing for thousands of years. 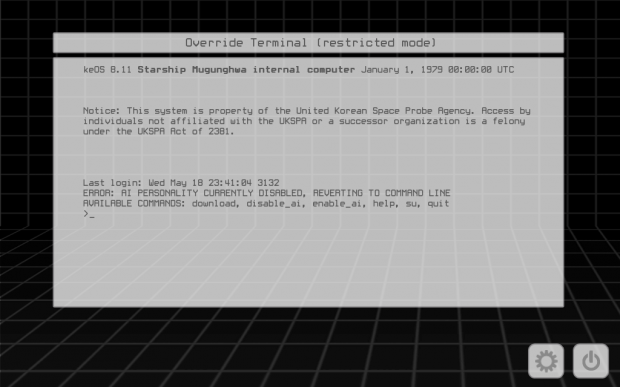 This is done by navigating the ship’s terminal (via a nostalgic DOS prompt), interacting with the computer AI, and accessing e-mails. Reading mails will be your main means of progressing the story, and they are slowly unlocked in a non-linear fashion, akin to completing the puzzles of an adventure game. One moment you could be reading a mail dated on a certain year, next you’re reading another mail written several years later by another character. It’s disorienting and confusing at first, especially at the very beginning of the game when I had no clue what was going on or who the characters were. But all this “time-skipping” and fragmented narration is an intentional design on Love’s part. She deliberately creates missing gaps in the e-mail timeline, allowing you to slowly digest the characters and their relationships first. A handy family-tree function gives you a rough idea of the overall picture, and pretty soon you start to notice a pattern where certain important characters are repeatedly mentioned. And just when you think you’ve finally managed to grasp everything, Love throws you another curve-ball, filling in the missing piece and sending the story down a completely unexpected tangent. Analogue’s story is the type that could only work on a videogame, its carefully unraveled revelations and ramifications hitting you like a tonne of bricks. It’s clear that Love has a specific moral agenda she wants the player the be aware of. I won’t go into the full details of Analogue’s subject themes (such a journey is best discovered by playing the game itself), but it is mostly a tale about feminine oppression, and its impact on society — a topic that is still very relevant today, especially if you’re a female gamer. Many times, Analogue will make you stop and ponder about yourself and humanity. It is emotionally engaging and riveting, leaving you in deep thought long after the credits have rolled because of the final moral dilemma presented to the player towards the end. The game is worth replaying at least once (your initial playthrough will take about 3-4 hours), not just to unlock more of the five endings, but to view all sides of the story. Much like Fate/Stay Night, Analogue features a text-skipping function, allowing you to save time by skipping all previously read dialogue. The main menu also has a Message Viewer function, allowing you to read all e-mail messages that you have unlocked, giving players the chance to revisit the story outside of the actual game. The only feature that is conspicuously absent is a BGM player to replay the game’s catchy soundtrack. If you like visual novels, heck, if you want to play an unforgettable story, just give Analogue a try. It’s a short, but absolutely worthwhile gaming experience. The author completed his first playthrough in about four hours, obtaining Ending 4. He has since gone on to unlock the rest of the endings, increasing his play-time to about eight hours. 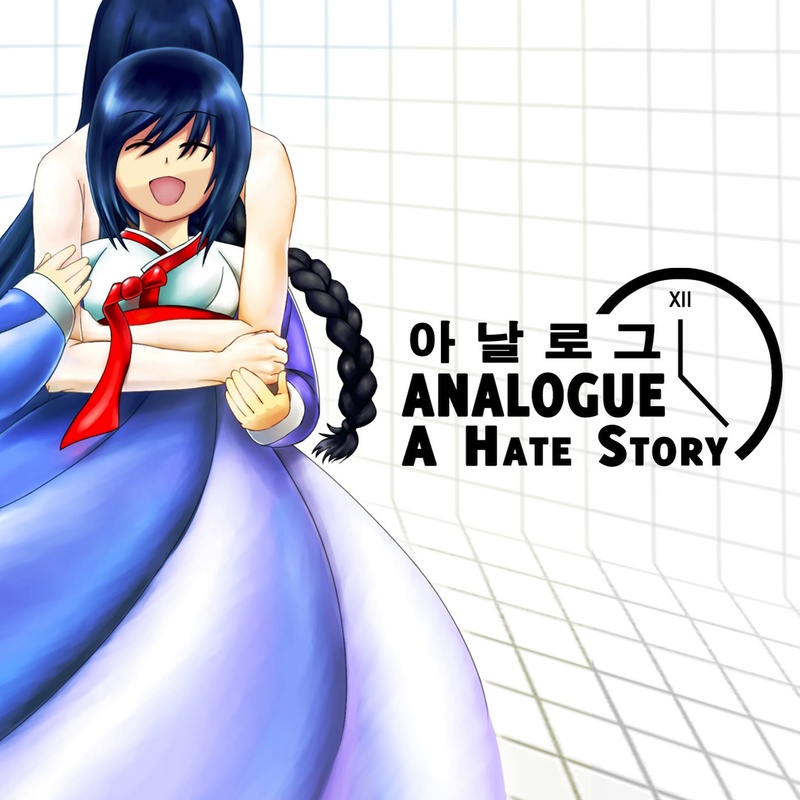 Analogue: A Hate Story is selling for US$10 on their official website and the Steam store.